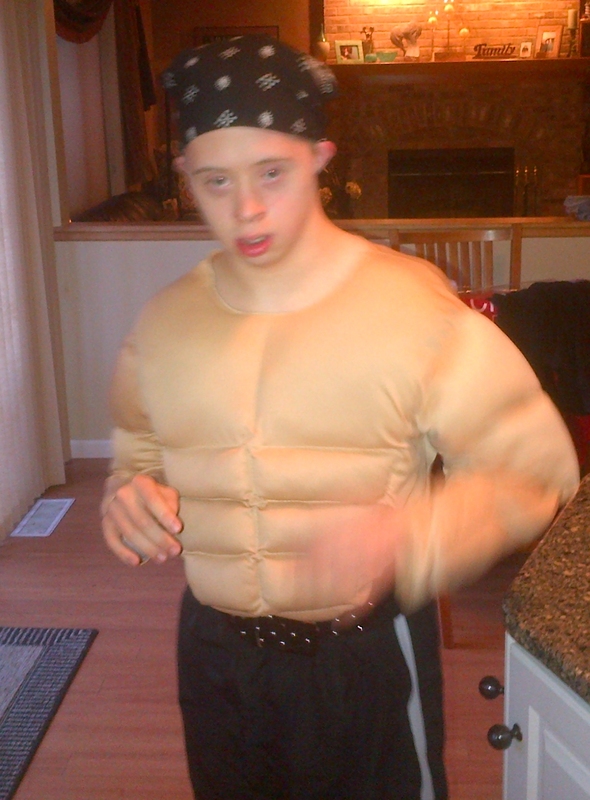 Last week I wrote about Down syndrome and low muscle tone. Not only does it affect gross motor areas of development but also oral motor and speech as well. “The problem lies in strength, mobility and range of motion of oral muscles. (Kumin, Goodman & Councill, 1991) This can result in weak sucking, swallowing, lip closure, and tongue protrusion (Pilcher, 1998; Kumin, 1994), and gastroesophageal reflux (McCurtin, 1997). The combination of reduced oral space and limited control also contribute to feeding problems in infants with Down syndrome. Due to a small oral cavity and midfacial hypoplasia, the infant’s lips appear thin, the palate is usually flatter with a high arch in the midline and the nasal passages are narrowed. The combination of reduced oral space and low muscle tone can result in tongue protrusion.” For more information: www.down-syndrome.org. Nick certainly had his own struggles in this area. At three years old, he was still eating concoctions of pureed and mashed up vegetables, fruits and still blended in baby cereal that resembled gruel. You didn’t dare introduce food with any lumps that he could gag or choke on. We enlisted a speech pathologist that specialized in oral motor feeding that included an intense treatment to address these problems. The technique used by the specialist was, “Beckman Oral Motor Intervention” http://www.beckmanoralmotor.com. Make sure that you consult with a speech pathologist who specializes in oral motor therapy and has been trained in this area. The essence of the program is to get the muscles firing both around the lips and inside the mouth. First, the muscles around the upper and lower lips were stretched. 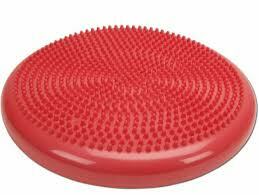 This followed with gum massage to stimulate the mouth and stretches inside the cheeks. All of this would wake up the mouth and move to the next step of resistive chewing. Nick started with a Nuk Brush for this. The specialist insisted on doing these techniques on me. I was amazed at how alive and tingly my mouth felt afterwards. She also taught me how to do them on Nick. Consistency is the key to building strength when embarking on this program. As I mentioned last week, Nick was very delayed in his gross motor development. Because his trunk was so weak, he sat slumped. This affected his ability to chew and swallow. A co-treatment plan of therapy helped to escalate Nick’s progress. After Nick did the Beckman exercises, the occupational therapist would work alongside placing a nubby rubber cushion under Nick to help build up his abdominal and back strength. She placed her hands on his trunk manipulating his shoulders to maintain integrity while biting exercises were performed. The feeding specialist pulled out all sorts of foods like Cheerios, goldfish, graham crackers, and sour gummy worms and wrapped them in gauze. Then she placed them one at a time in his mouth, and he would bite down. The gauze acted like a safety net to keep him from gagging or choking. 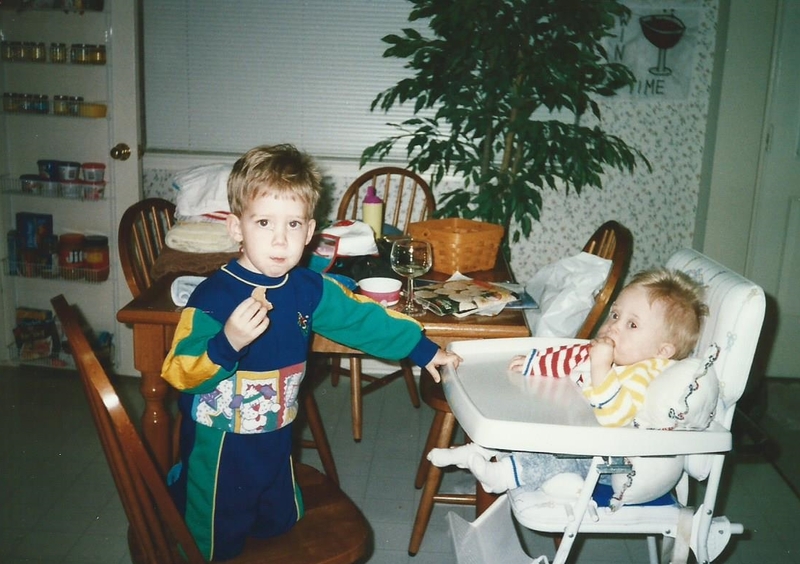 In less than a year, Nick was able to chew and swallow textured foods safely and his trunk became strong enough for him to be able to walk at age 3 ½.
Nick has come a long way since those days of sitting slump, gagging on food. I am forever grateful to all of the therapists who have made him strong over the years and continue to help him grow. He is a force to contend with in the world. 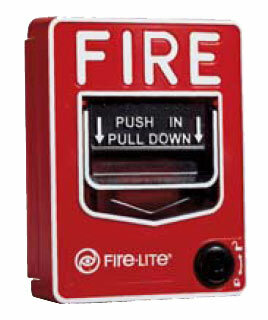 Last week he managed to pull yet another fire alarm at school. Oh no, not again….. 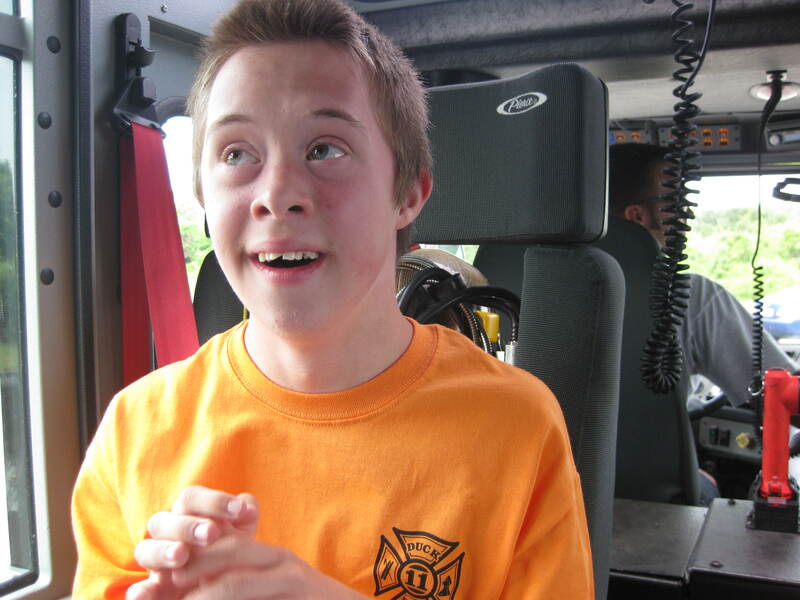 Tally now 30 alarm pulls…..
October is Down Syndrome Awareness Month. 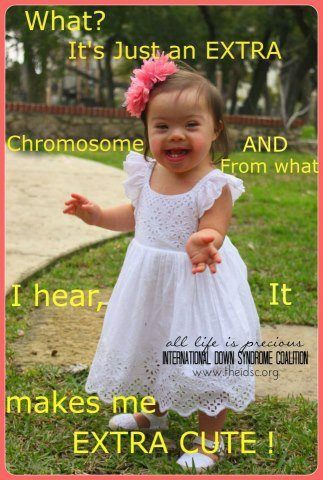 In Blog #26, located in the October 2012 archives, there is a complete overview about Down syndrome. 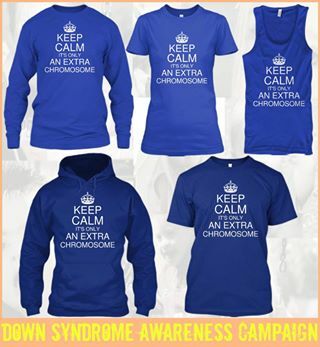 This week I want to put a lens on one of the physical traits of having Down syndrome. 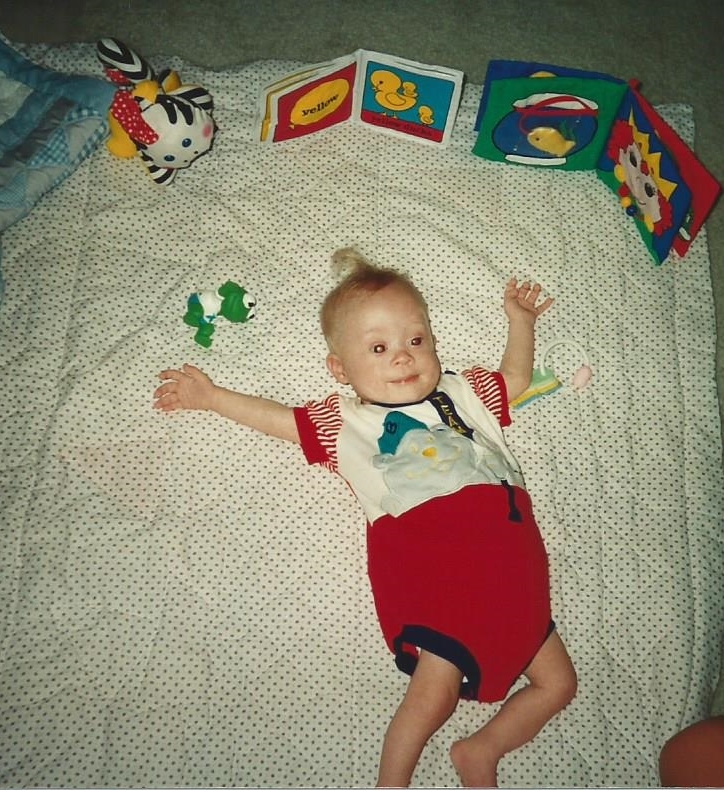 Hypotonia, or low muscle tone is common in almost all babies with Down syndrome. The appearance is floppy and the muscles are flaccid. As soon as I touched my son Nick after he was born, I could feel this. He felt like a rag doll. The good news is that hypotonia generally improves over time with early intervention and physical therapy. Within eight weeks, we met with the early infant intervention team and began the work to confront his low muscle tone. Right away, we were instructed to roll up blankets and stuff them on either side of Nick when he was sitting in his carrier. Since the muscles are so floppy, there is a tendency for the limbs to dangle open. We then started from the top and worked down. The first step was to get the neck strong. We incorporated a lot of tummy time providing lots of bright, colorful, and contrasting toys that would be stimulating. His brother Hank helped out by pushing the buttons on musical toys so that Nick would lift his head up. This would help develop more alertness as under arousal is typical for babies having Down syndrome. Everything is ready for tummy time, look at that scrawny baby 🙂 ……. Once he was able to support his head, the early infant team began to work on building strength in his trunk. At first he had to be held at the shoulders while sitting on a play ball. The facilitator would lead the group with songs and blowing bubbles. The babies would both track the bubbles and try to pop them with their fingers. Gradually, the therapist was able to hold Nick at the chest, and after several months hold his waist while he worked on the ball. The physical therapist told us that Nick would not be able to pull up to stand or walk until his core was strong. This meant when he could sit on the ball supported with her hands down on his hips. This took a very long time for Nick. 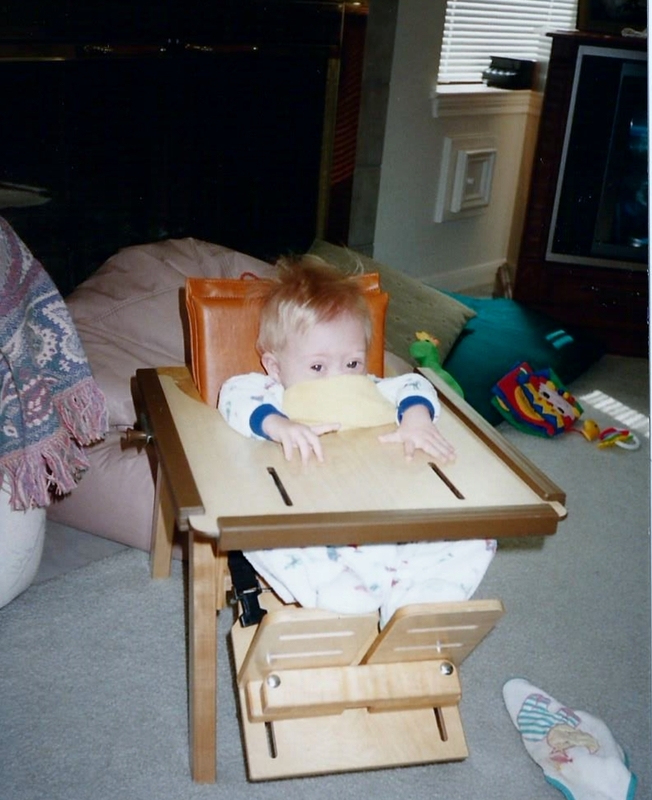 We propped up pillows in his high chair so he would flop over to the side. His brother Hank, keeping him entertained……. A special chair was provided by the early infant intervention program. Nick’s trunk was still weak and he had a lot of trouble sitting upright……. As you can see, Nick’s low muscle tone affected his development in all of these gross motor areas. After his first birthday, the physical therapist suggested we try doing horseback riding therapy with Nick. He was the youngest person they had ever tried at this facility. We made the trek out to Tomball, Texas for these sessions for over a year. Nick gained a lot of trunk strength during this time. Keep in mind, not only were the muscles weak but also had less endurance. 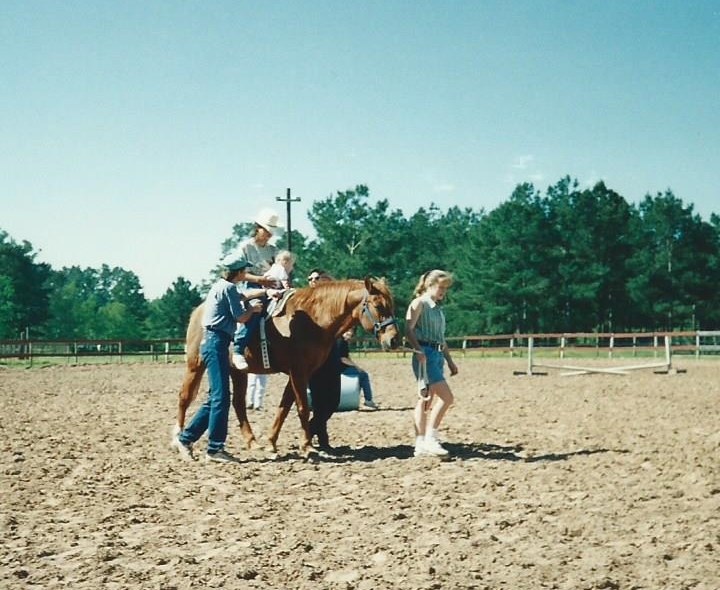 Doing the sessions on the horse helped with increasing his endurance and the sensory input was very stimulating. Once Nick was able to sit up and crawl we began to find creative ways to get him up on his feet. Hank would often dangle his favorite musical toy at the top of the bean bag chair. As the music blared and lights flashed, Nick would climb up the makeshift mountain to reach the toy. Around this time, I also began redecorating the living room. I mounted several musical toys above the fire place so if he wanted to get to them, he had to pull up to stand. His brother also enticed him, bouncing ping pong balls on the coffee table. He would crawl over, pull up, play and laugh with Hank. It was a long, slow rode to get him up and walking. Nick had to work a lot harder to build his strength, endurance, alertness to defy the effects of low muscle tone and under arousal. Hard work always pays off, and gets you to the top of the podium! This year I am taking a different route. 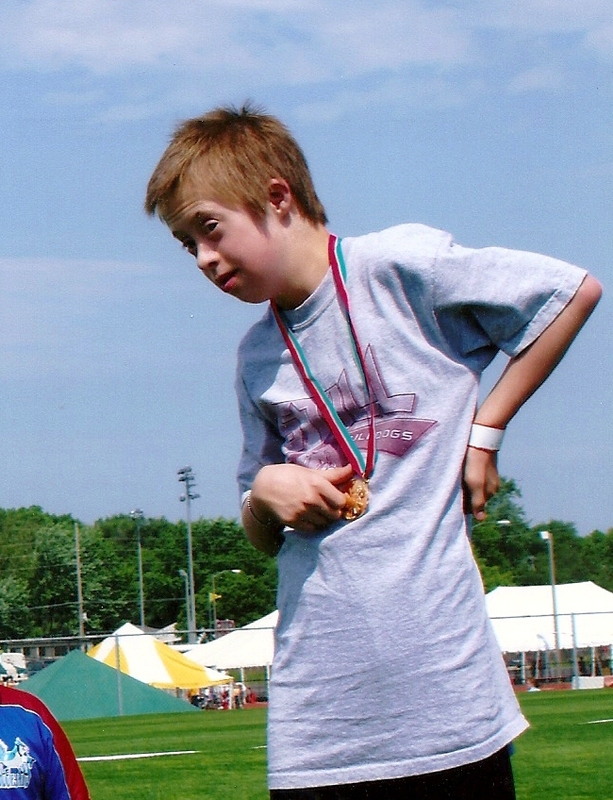 What happens to a parent when they find out that their child may have Down syndrome? One feeling that evokes the mind immediately is fear. The unknown tends arouse worry and anxiety. 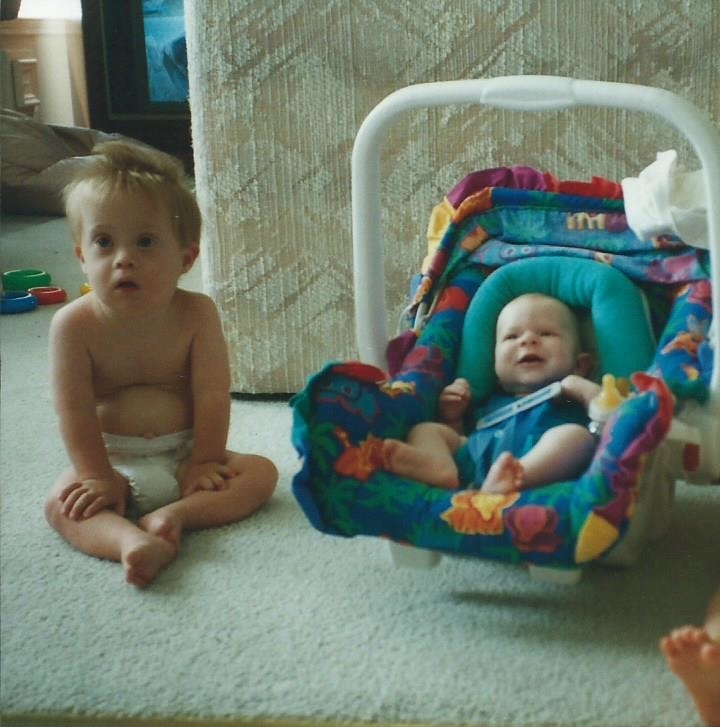 Nineteen years ago when my son Nick was born the doctor told us he had several markers that suggested he might have Down syndrome. Three days later, the chromosome test came back to confirm he did. 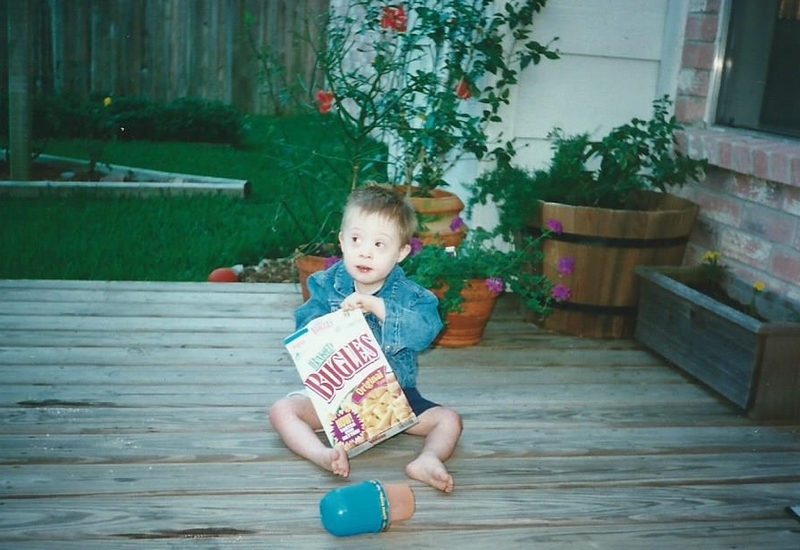 In 1994, there were no laptops or smart phones to quickly Google “Down syndrome” and great websites like http://noahsdad.com to ease my worries. I was handed two brochures by the hospital administrator, that’s it. There were so many questions in my mind. How was my life going to change? What would my son’s life look like? 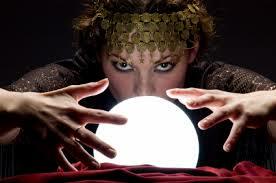 I wonder what that crystal ball would have revealed? 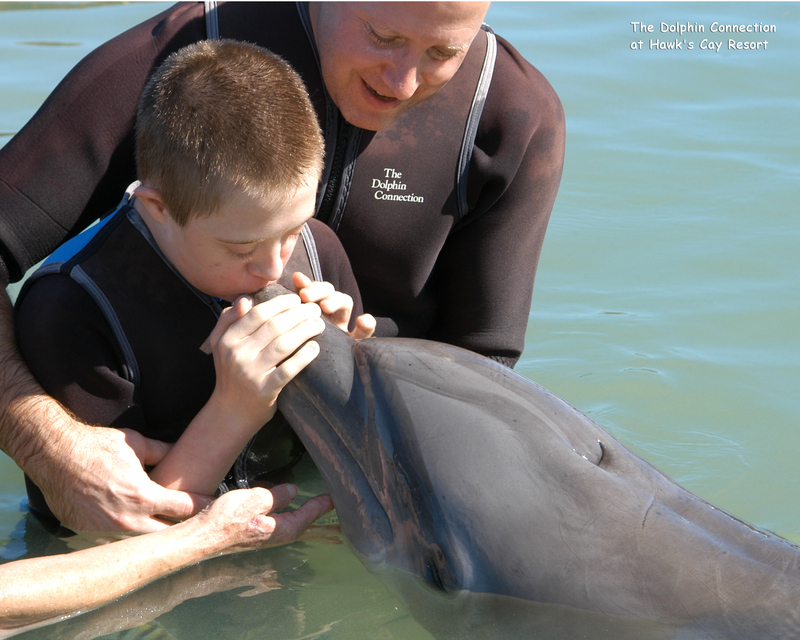 Here are 5 things that I wish that crystal ball could have illuminated about having a child who has Down syndrome………. 1. Don’t worry about giving up your life. You will still be able to work, go out with your friends and take your son with you everywhere, even overseas vacations. 2. You will meet many people who will show you how to navigate this new path and teach you about courage along the way. They will be educators, therapists, specialists, advocates and other parents who will light the lanterns and guide you and help your son learn and grow. 3. Trust that all those milestones you are worried about like eating, talking, sitting up, crawling, walking and toileting will be met. Yes, eventually he will make it out of Pull-ups and Depends though this may test your limits. 🙂 Hitting these milestones may take a lot more time but when he does it will be glorious and sweetly savored. 4. Your son will teach you what pure, unconditional love is. He will wake you up with a light in his eyes each morning. He will share a great sense of humor that will warm your heart and the hearts of many. 5. One day your son will make you proud because he will be eager to work hard. 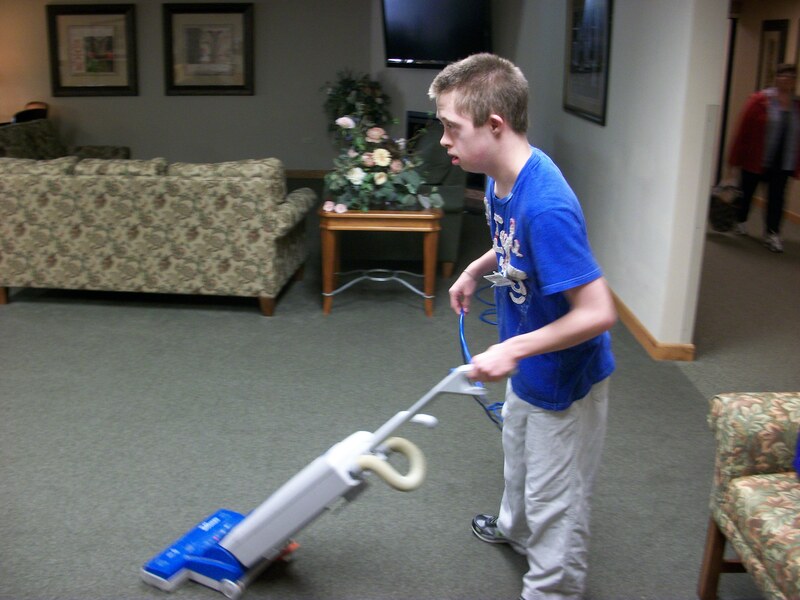 He will take great pride in the jobs he does both around the house and in the community. Unlike most of us he will enjoy vacuuming, laundry and unloading the dishwasher. 🙂 Yes, there will be some things he may not be able to do. But other times he will surprise you. Just be patient and let God take him down the path that fits him. Nick got a bad stomach bug last weekend which made it’s way through the family. We are all feeling much better now and look forward to sharing more with you on Monday! Last week Nick finally got the staff at the new post-secondary transition program he is in (STEPS). Quite frankly I am surprised they made it a whole month before he beat them to it!